“Should we use the ampersand in the official name of the College?” he asked. The gravity of the question was not immediately obvious to me. On the surface, it appeared to be a simple question of style: should we spell out “and” or use the ampersand when referring to the College? But form and content are intertwined; no style presents itself without embodying some value, and no embodiment appears without style. So as I considered it more carefully, I came to realize that something important was at stake here: what is it really that holds together the College of Arts … Letters? An answer emerged as I began to research the fascinating origin of the ampersand itself. In his book, Shady Characters: The Secret Life of Punctuation, Symbols, and Other Typographical Marks, Keith Houston tells the story of the &, which was born, literally, on the streets of Pompeii. Its earliest appearance has been traced to a wall in Pompeii where graffiti for the Latin “et,” meaning “and,” was preserved by the eruption of Mount Vesuvius in 79. The symbol embodies a felicitous serendipity. In the 19th century, the ampersand became so widely accepted and used that it was regularly taught as the 27th letter of the alphabet. In fact, therein lies the story of its odd name, for as children sang the alphabet and came to “X, Y, and Z,” the rhythm was not well served simply by adding the word “and” at the end. So instead they said: “X, Y, Z and per se and” from which we derive ampersand. 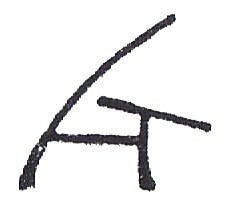 In the “&,” we find a symbol that is also a letter, a site of artistic expression codified into the alphabet, the trace of a felicitous mistake preserved and typeset into the very history of writing. It would be hard to imagine a better way to express how the arts & letters are held together in the College than through the symbol of the ampersand. The ampersand turns a written word into a graphic symbol that shows precisely what it says. As a symbol, the ampersand evokes a knot that ties things together. Its beauty and complexity gesture to the complexity and beauty of all relationships, and to the tension that holds diverse endeavors together. Situating the ampersand between Arts & Letters signals the connection between the two sides of the College. But the deepest roots of this connection are found in the activity of scholarship itself. To be a scholar, then, is to be schooled; it is to be afforded the free time to cultivate expertise in a given area of meaningful interest. 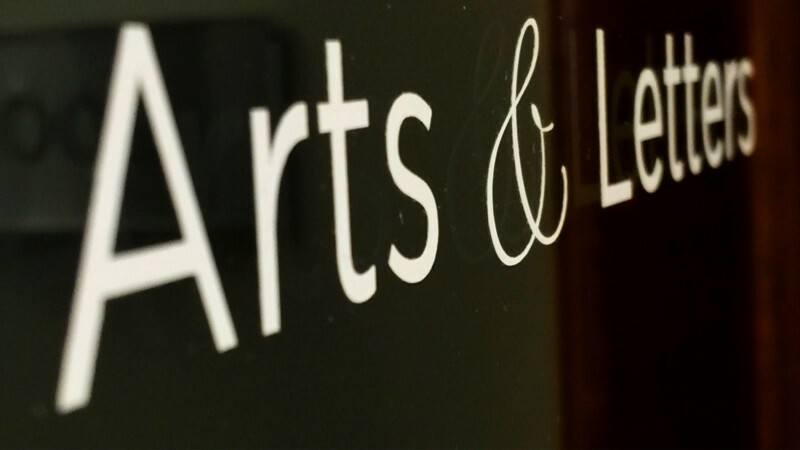 In the College of Arts & Letters, we cultivate scholars across a broad and interconnected spectrum of arts & letters disciplines and interdisciplinary programs. Just as our scholars in the arts span a range from fine art to design that is intertwined with the humanities through art history, so too do our scholars in letters span a range from literature to cultural studies that is woven together with the social sciences through our language science programs. These diverse disciplines and interdisciplinary areas of focus are bound together by a common commitment to scholarship: to the cultivation of expertise and the pursuit of excellence in activities that have broad and lasting aesthetic, humanistic, and scientific value. Scholarship, like the ampersand itself, connects the Arts & Letters in complex and beautiful ways.